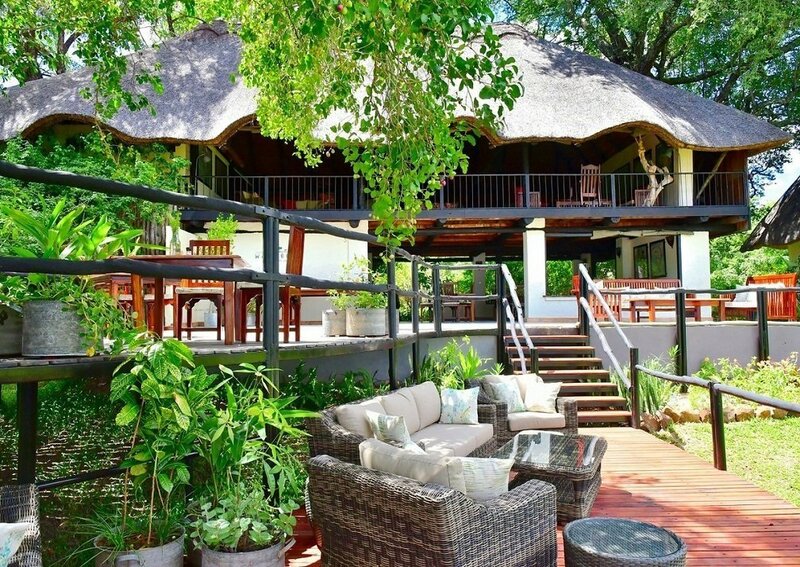 Waterberry Lodge is small, 7 room property on the Zambezi riverfront, just 30 minutes from Victoria Falls. 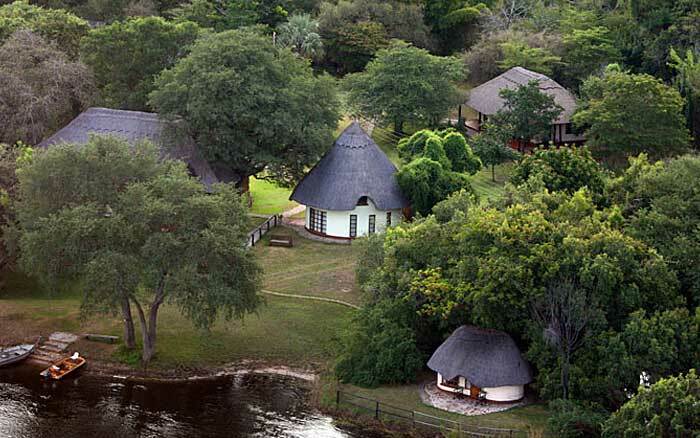 Waterberry Lodge is small, 7 room property on the Zambezi riverfront, just 30 minutes from Victoria Falls. 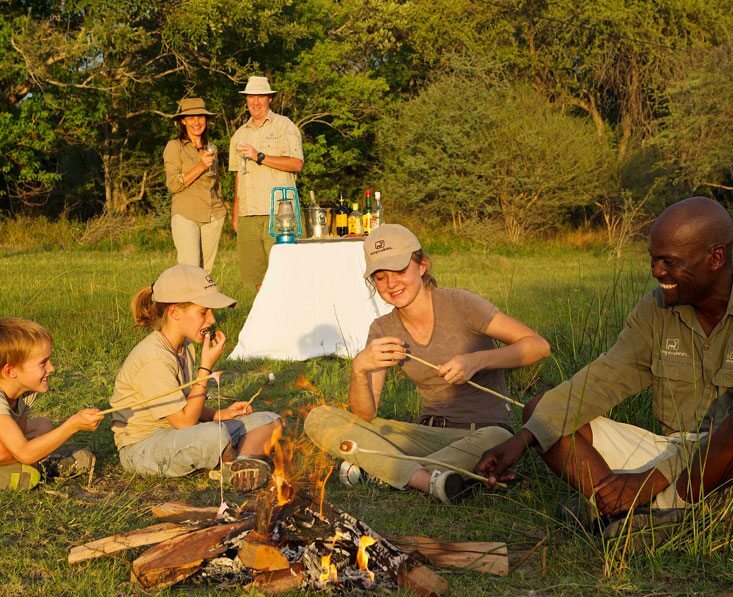 The friendly staff can arrange transport to and from the Falls so you can enjoy all the activities on offer there, though you may also want to spend lazy time at the lodge, enjoying the peace and quiet. The thatched cottages are scattered throughout the gardens. 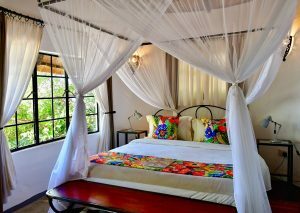 Inside they have a homely feel with rugs on the wooden floor, bedside tables and lamps, patterned bedspreads and African artwork on the walls. They’re equipped with mosquito nets and fans. The bathroom has a simple shower, hand basin and flush toilet. Colourful bathrobes are a thoughtful touch. 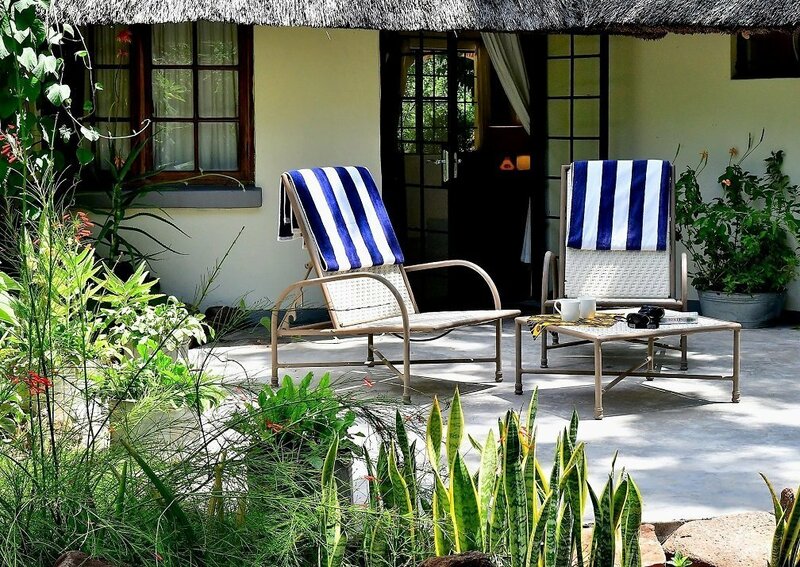 Each cottage has a veranda by the main door where a couple of chairs are placed. 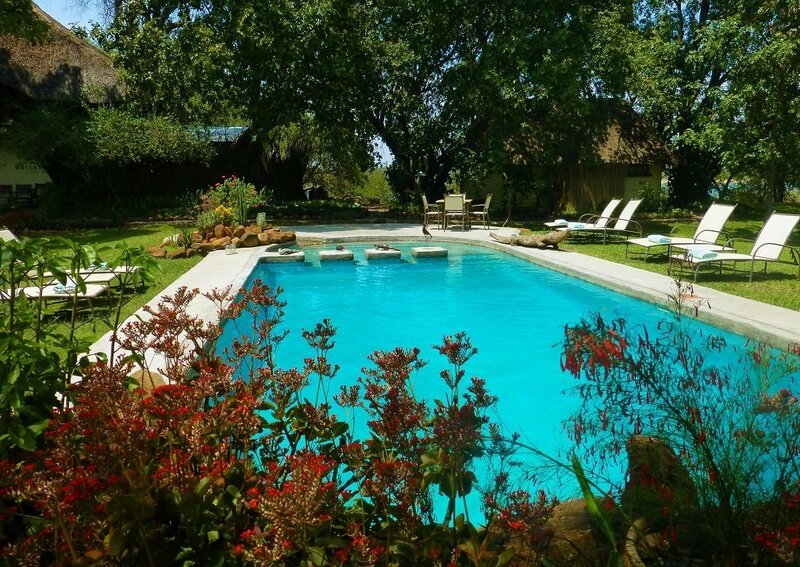 The pool offers pleasant respite from the heat, it’s surrounded by a lawn and several sunbeds. There are shady areas by the trees for those who prefer to keep out of the strong sun. 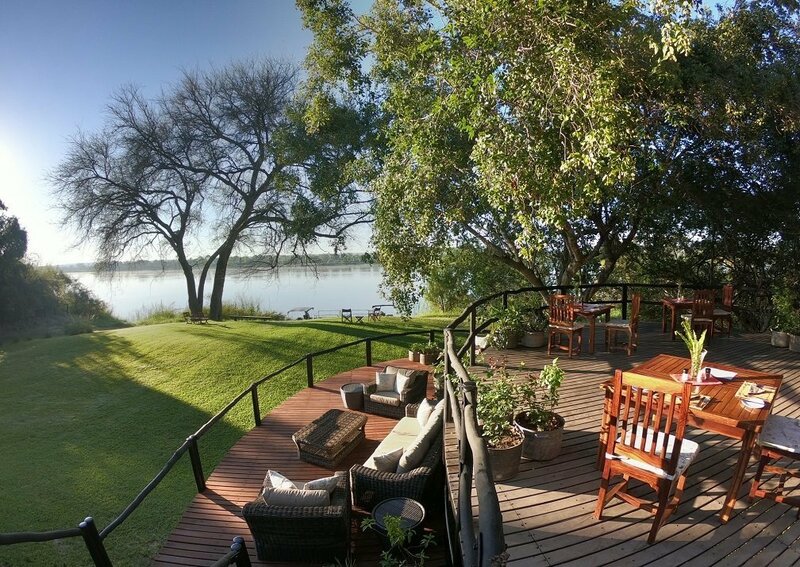 Meals and drinks can be enjoyed in the open air on the large river-facing deck and in the open-fronted dining area when the sun is too hot. For a special treat you can request private meal on your terrace or one of the lodge’s many terraces. Stairs lead from the dining room up to the lounge and bar. 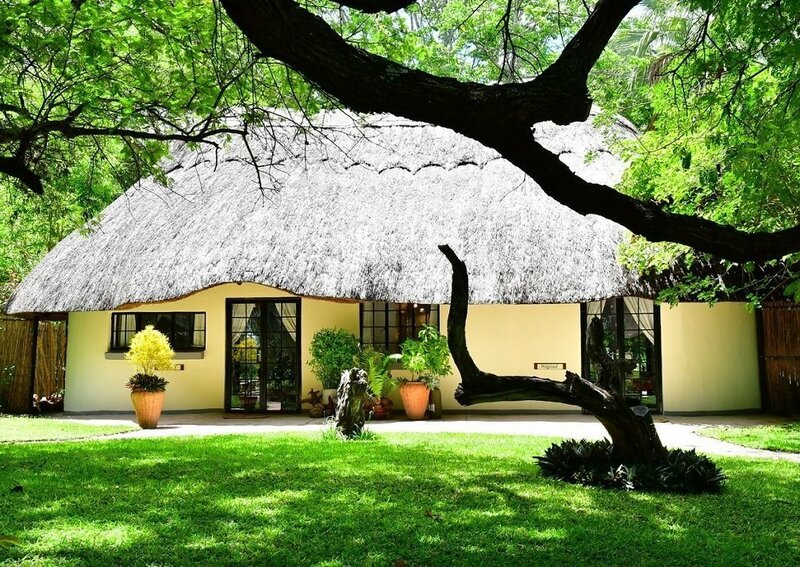 Set under a high thatch roof, this area is light and open to the breeze. You’ll be able to join in conversations with other guests as you enjoy river views. 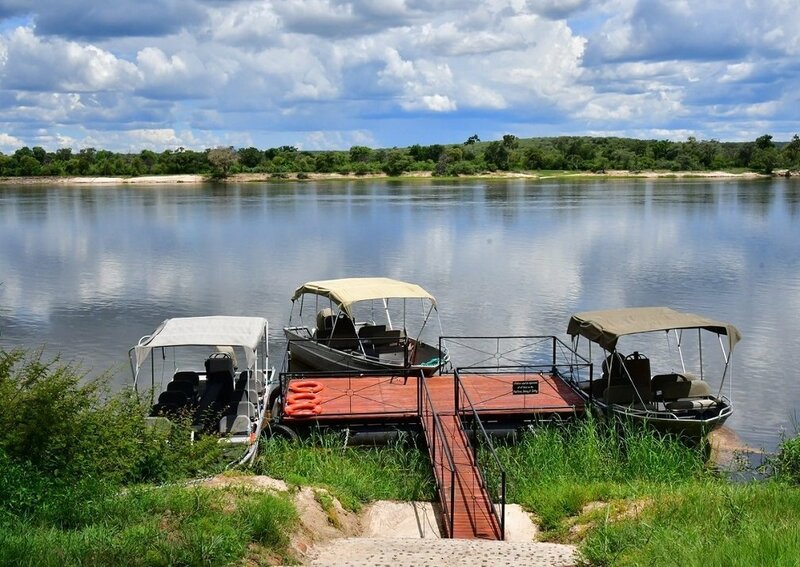 As well as the manifold attractions and activities at the falls, you’ll be able to follow the sign-posted nature trail through the gardens, try your hand at fishing, relax on the floating pontoon and go for cruises on the Zambezi. The late afternoon cruise is a particular favourite and the sunset over the river is a beautiful sight, especially while sipping a G&T! 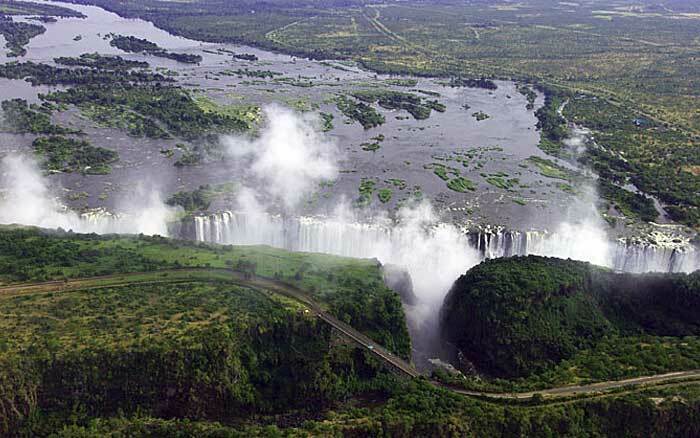 There is also a range of ‘outside’ activities at Victoria Falls and Livingstone such as whitewater rafting, scenic flights, canoeing, horse riding and more. These can be booked and paid for locally. 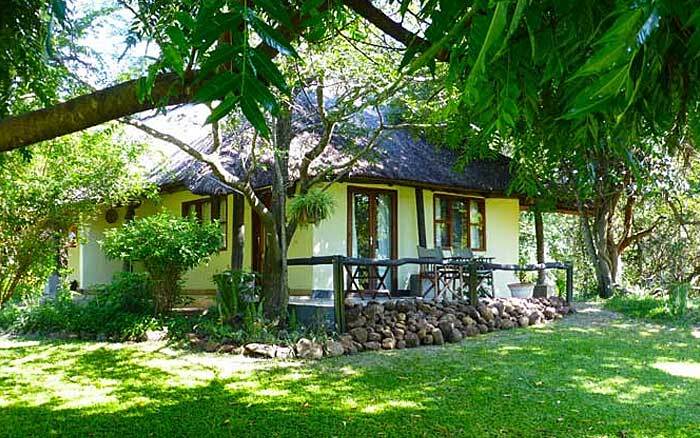 The self-contained cottages have a home-from-home feel, pleasantly simple in design, with African artwork adding character and air-con keeping them cool. Children of all ages are welcome. There are two family cottages. The lodge has board games and colouring books for youngsters. 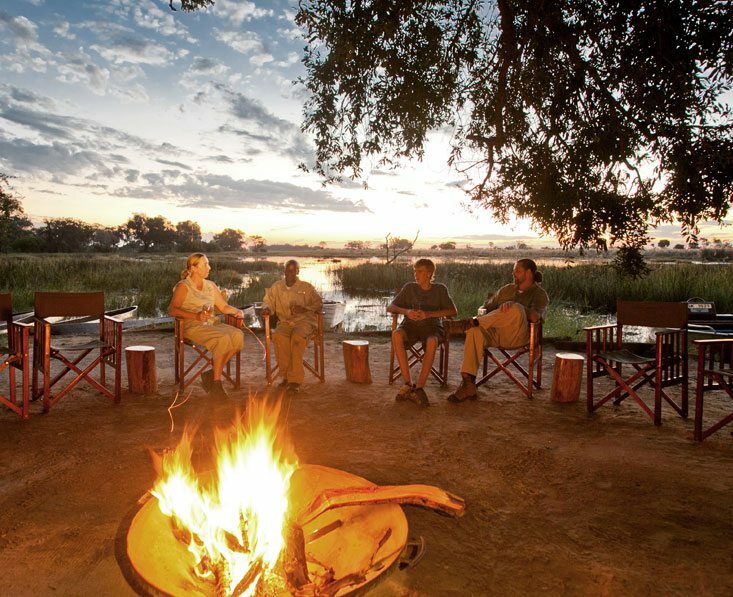 9 days from £2685 pp A real African adventure for the young and young at heart! 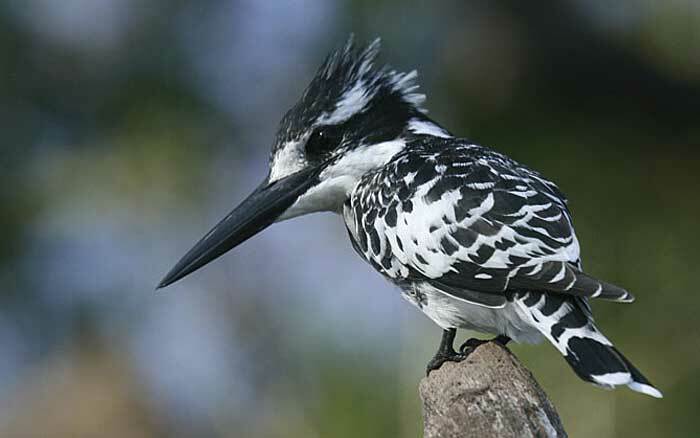 The excitement of Vic Falls is more than matched by the thrill of a real life safari.